At the office where Eleanor has worked in accounts for nine years, she’s an outsider and a bit of joke. People talk about how weird she is behind her back. Eleanor has learned how to survive – but not how to live. Closed off, alone, and unfamiliar with the world, the reader discovers Eleanor has spent time in care and has to endure visits from social workers who stare at her scars. Humour works to reduce the pathos and strangeness of a character who speaks with a comical and strange mix of archaic, Victorian, primness and precision. 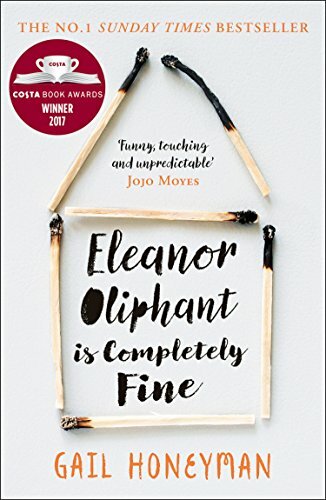 Eleanor Oliphant is Completely Fine is published by Harper Collins.